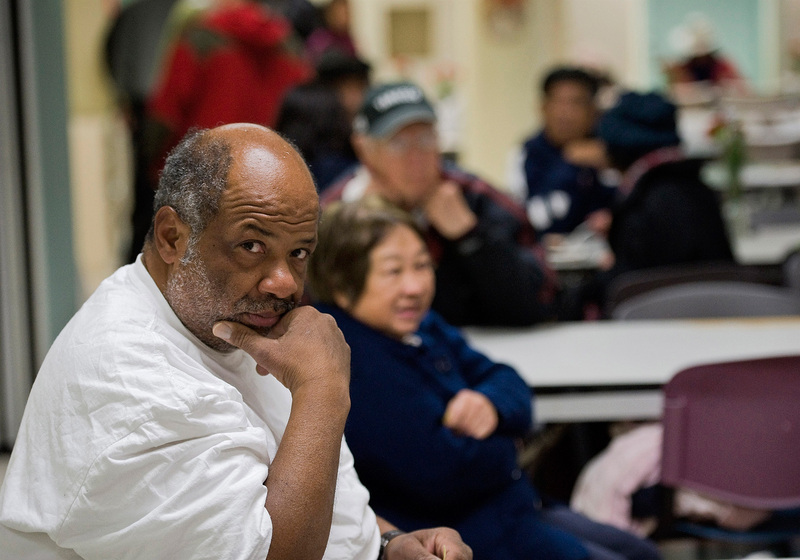 Seniors await lunch at the Canon Kip Senior Center in San Francisco. The center provides a hot lunch and fellowship 365 days a year to low-income seniors 60 years of age and older. Photo was part of a series on the plight of the elderly poor in America.